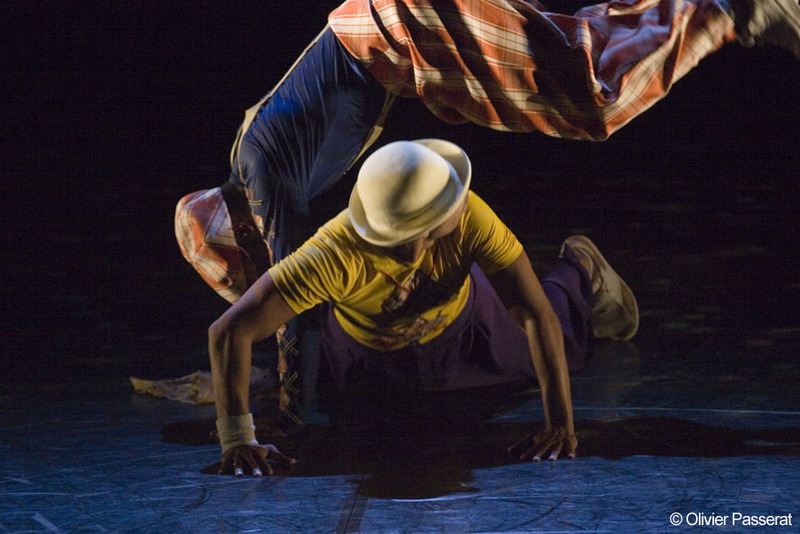 Two virtuoso breakdancers are seen as they set in motion and dart away from each other amid fleeting moments of contact and an interplay of moves choreographed for two. Their fluid movements are deliberately fragmented as their bodies go into stop-motion and are thrown into darkness, which thereby interrupts the action in mid-flow. Our eyes are filled with powerful images, inviting us to reflect upon the different kinds of relationship that might exist between the two dancers. And yet images appear, change shape and switch places without really forming a logical progression of events. Once upon a time… Lettres à Zerty proposes another view of humanity, a vision of the world, wherein events are treated in a non-hierarchical, indiscriminate fashion. Originally produced by Le Gymnase l CDC Roubaix (spectacle) and Le Cuvier CDC d’Aquitaine (educational tools) as part of the commission Au pied de la lettre, within the program La Belle Saison avec l’enfance et la jeunesse. 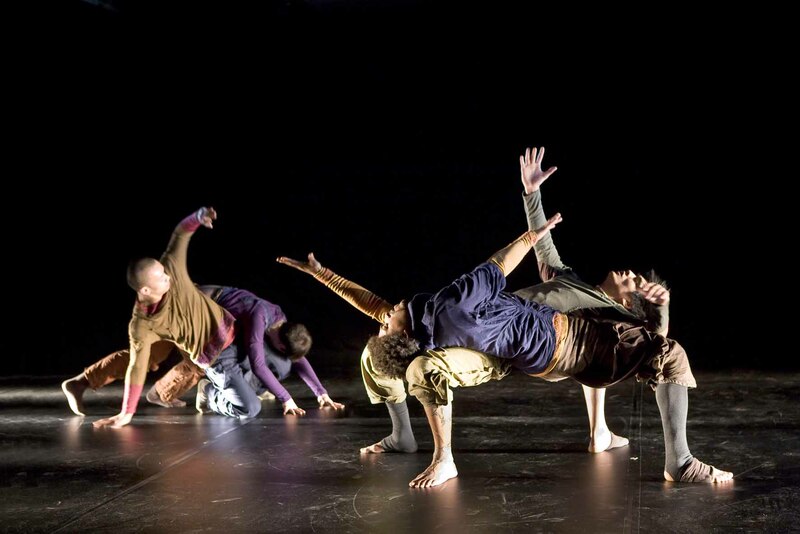 Coproduction : Agence Culturelle Départementale Dordogne-Périgord ; CDC Atelier de Paris-Carolyn Carlson ; Ballet du Nord – Olivier Dubois / CCN Roubaix Nord – Pas de Calais ; CCN Malandain Ballet Biarritz ; L’Echangeur – CDC Picardie ; Le Grand Bleu – Etablissement National de Production et de Diffusion Artistique Lille ; La Briqueterie CDC du Val-de-Marne. 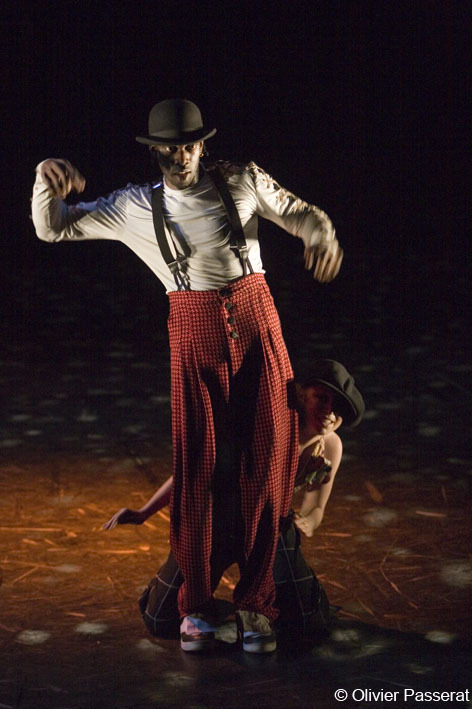 In partnership with la Maison de la Danse de Lyon. With the support of du Ministère de la Culture et de la Communication / Direction Générale de la Création Artistique (for educational tools). Tonight is the end of the world… The journey of a soul tormented by apocalyptic visions… The unconscious thoughts of the actress, embodied by five dancers, confront each other, wrestle, adjust, reveal her to herself and finally lead her to a state of ultimate jubilation: the ball of the end of the world, where bodies unite to celebrate the joy of being. Theatricality of movement, fluidity, complexity of an intricate dance, involving one or several bodies, the strongly singular dancers progress within an emotionally charged movement, which resonates inside the imaginary. With the support of: la DRAC Ile-de-France; le Conseil Général du Val de Marne; la Caisse des Dépôts; l’ADAMI; la Ville de Charenton-le-Pont. 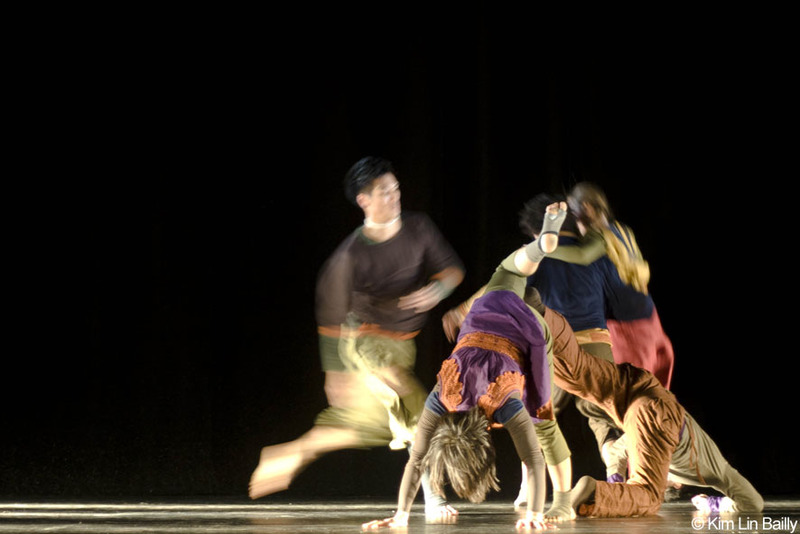 Coproduction: Centre national de la danse (création en résidence); Centre de Danse du Galion d’Aulnay-sous-Bois; Théâtre des 2 Rives de Charenton-le-Pont. 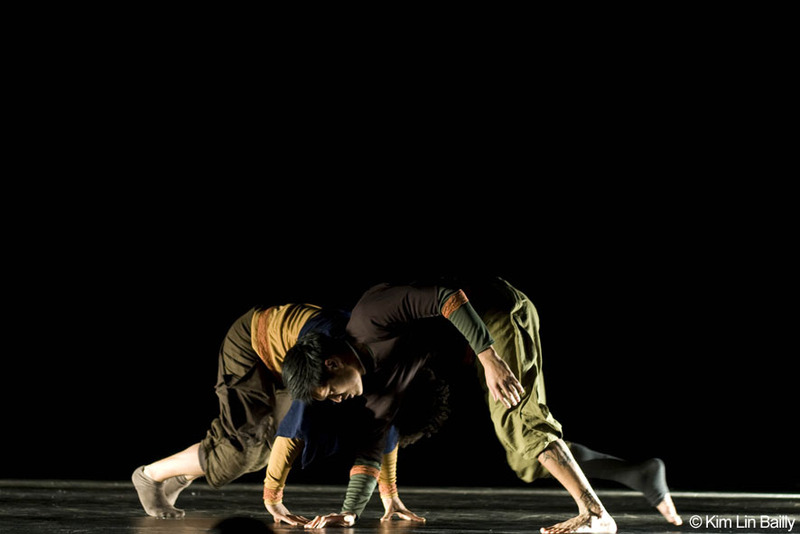 With the partnership of: Conservatoire Supérieur de Paris – CNR et Centre national de la danse; Initiatives d’Artistes en Danses Urbaines (Fondation de France – Parc de la Villette, avec le soutien de la Caisse des Dépôts et l’Acsè); Le CRI danse de Villejuif. 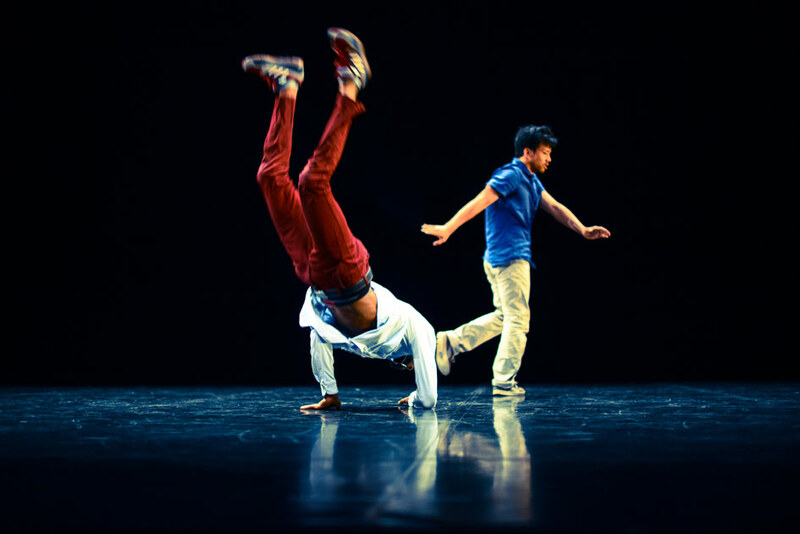 Coproduction: Initiatives d’Artistes en Danses Urbaines (Fondation de France – Parc de la Villette, avec le soutien de la Caisse des Dépôts et l’Acsè); Centre de Danse du Galion d’Aulnay-sous-Bois. Project support: Ville de Charenton-le-Pont. 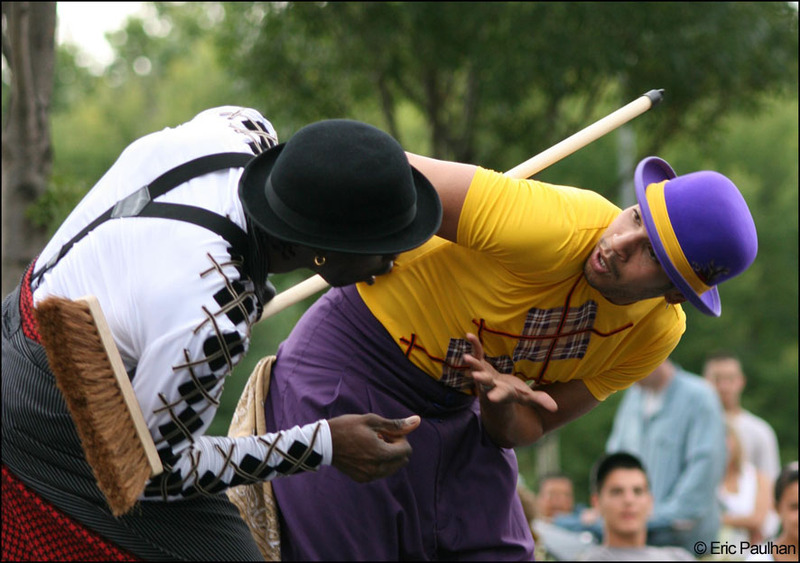 With the support of: Initiatives d’Artistes en Danses Urbaines (Fondation de France – Parc de la Villette, avec le soutien de la Caisse des Dépôts et l’Acsè); Centre de Danse du Galion d’Aulnay-sous-Bois; Espace Germinal (Fosses): Festival Cap Danse (Toulouse); Centre national de la danse; Centre Culturel Suédois (Paris).